These days, many people interact with their credit card company online. Whether it's shopping for a new card or paying a monthly bill, consumers flock to the Internet to handle many of their credit card transactional needs. That makes it important for credit card companies to have websites that are secure, usable and engaging. Recent rankings from Change Sciences Group, a qualitative-based research company, show that some card companies do better at engaging their customers than others. Change Sciences recently published its "Credit Card Web Site User Experience" trending report that looked at 18 top credit card websites, including Capital One, MasterCard, Visa, Nerd Wallet, Google Advisor and Credit.com, and ranked them in 15 different user experience metrics, including success in finding a card, its potential to be recommended to others and how engaging the site is. The company also used its Experience Cloud platform for this analysis that compares a user's experience between competing sites and with the best sites on the Internet. Change Sciences researchers ranked Chase as tops in its study, ranking them highest in 14 of the 15 metrics measured. In comparing Chase's site against US Bank, users could more easily find a suitable credit card. In fact, 87 percent of the time, Chase users were able to find a card. Chase beat out American Express when it came to engaging users. Chase website users were also nearly a third more likely to recommend that site, as opposed to Citi's website. "Trust, brand and card offers alone do not predict a site's success with consumers. In order to win in a competitive marketplace like cards, cards executives need to measure user experience with the same rigor that they measure other aspects of their business," said Steve Ellis, a Change Sciences founder, in a statement. According to Change Sciences, not all credit card companies did well in its survey. In fact, the credit card industry as a whole does not do well compared to other industries when trying to engage its customers through the web. While Chase proved to be the best performer in this set of rankings, other industries do a much better job of engaging their users than Chase does. 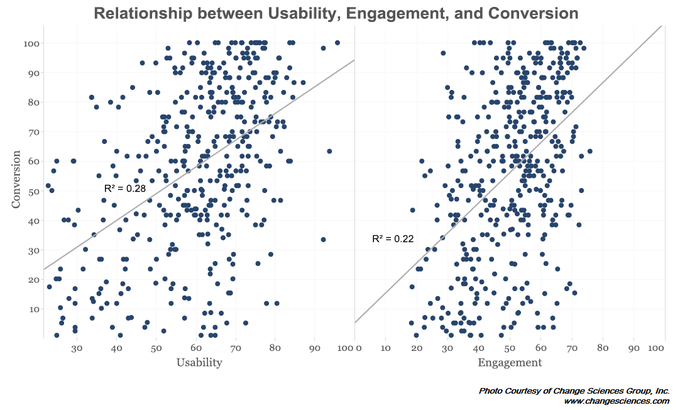 On the bottom end of the spectrum, SunTrust had low marks when it came to both usability and conversion. However, not only did Barclay Card score the worst in Change Sciences survey, it was deemed one of the worst sites overall across industries in terms of making it easy for people to find a credit card. All card website rankings are not equal, however. Last year, Forrester Research also examined credit card websites to assess their quality and digital services. In its "2012 US Credit Card Secure Website Rankings," it gave Discover top marks for service features and transactional functionality and awarded it an overall score of 80 out of a possible 100. In terms of online servicing, it earned a 91, and in the transactional content and functionality category, it got an 84. While Discover was one example of a well-performing company in this space, Forrester also noted that card issuers had plenty of room for improvement when it comes to designing a site that promotes a good user experience. Tweaking website navigation, efficiency and location cues could promote a better customer visit. Forrester said card issuers could also stand to make positive adjustments in secure website cross-selling. Forrester did find that companies like American Express and Discover that only play in the credit card space are able to come up with unique, innovative partnerships that can help keep their cardholders interacting with the brand. Forrester highlighted their interactive relationships through social media outlets like Twitter and Foursquare as being examples of innovative engagement with consumers.